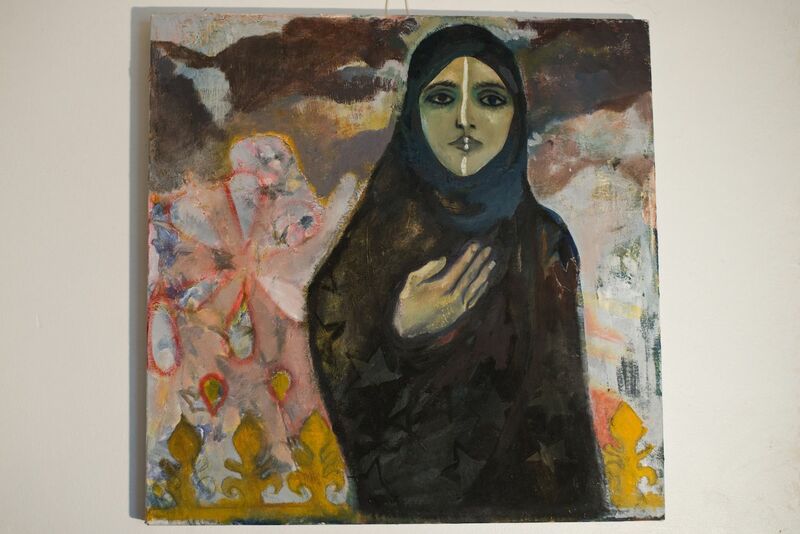 A dialogue in paintings exploring the contradictions of Muslim women who wear the veil and European women who pose naked. Reverence is now extended until Friday 20th October, open Monday to Friday with Finissage event on Thursday 19th from 6-9pm. Sophie Macdonald, a young artist who has spent all her life in North Kensington, has long been fascinated by the veiled Muslim women who are her neighbours. She has produced a remarkable series of portraits of hijab wearing women in lighthearted mood, skipping with ropes. 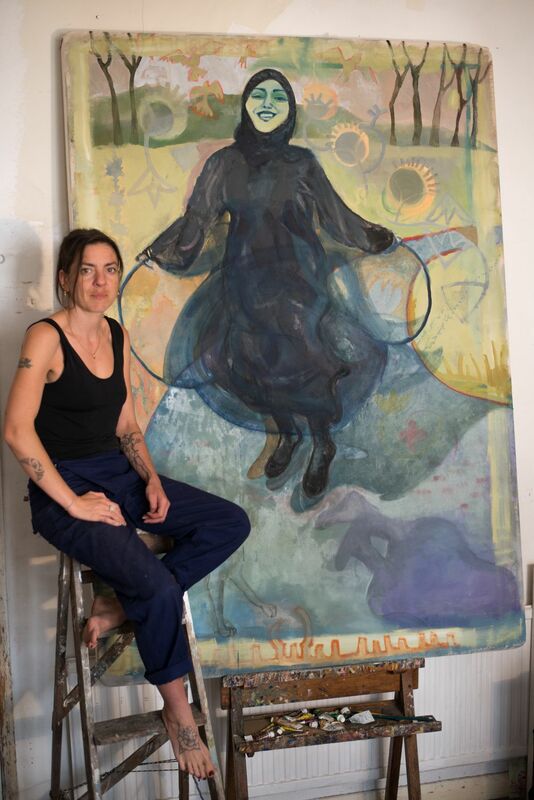 "I wanted to challenge my own prejudices" she says, "to open up a discussion about widely different attitudes to the female body." She explores these contrasts by including a series of women posing naked or semi-naked, portraits painted on builders planks.